I'm a Chicagoan, and while I don't think the national media often captures The Windy City accurately, in the wacky case of Illinois Governor Rod "What, me worry?" Blagovich trying to sell a Senate seat with the Feds already in his illustrious hair, I guess they got the basics about right. 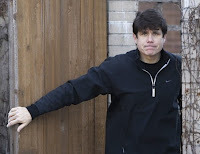 In other words, in any other state of this great union, Blago's blatant "play for pay" would be so unbelievable as to be laughable, but in Illinois, when it comes to political corruption, we've been taught to expect the unexpected. Unfortunately, I'm afraid to inform the gleeful GOPers who think the governor's descent into political purgatory will somehow drag down Obama that they are sadly mistaken, for all of Barack's men are too afraid of him to utter even a syllable against His Excellency's impending presidency. But first, a quick review of who we're dealing with, using the mob analogy—which, in Chicago's case, is virtually interchangeable with politics. If Obama is "The Boss," the godfather of misbegotten souls, then Blagovich is the two-bit hit-man, the messy assassin who always leaves a bloody trail. While it's probably accurate to say that no place but Chicago (which for Blagovich, extends out to all of Illinois, a state where the Republican Party insults its base by running a fiasco of a pro-choice feminist against him) could this clown climb all the way up to governor, this truth must not be allowed to obscure an even more frightening fact. Which is, that while Blagovich's ambition for his ultimate play-for-pay position, the presidency, was way too lofty, Obama's opinion of his new occupation is way too small, a mere stepping stone to the title he really wants. From his appearance in Berlin to his recent pronouncement that he plans to be chummy with the scummiest of dictators (pal-ling around with terrorists, anyone? ), one soon sees Barack's final desire is to be the ultimate godfather, the ruler of the whole world. Certainly, for a man in Obama's position of ambition, there can be no friends, and if Axelrod or Emanuel or JJ Jr. is shown to have known too much, he has them trained to jump on their sword without saying a word, lest real torture ensue. As for hapless, soon to be imprisoned Rod-man, his silence comes cheap. Usually, a back-street bully has to at least be threatened with the equivalent of cutting his n_ _ _ off, but to keep 'vich from snitching, Barack would merely have to threaten Blago that "They" would cut off his hair. But does Obama's coming through his state's latest scandal unscathed and with little drama prove that his rise to world power is inevitable? NO, not as long as the Christian has prayers, and the GOP's got guts. Right now, the Republicans have to insist on a special election to fill Barack's Senate seat, and not rest until it is filled with a real conservative pro-lifer like Mark Kirk. Certainly, this primary is primarily the responsibility of the Illinois Republicans, who must keep the suddenly spendthrift Democrats from using cost as a reason to take this one away from the voters. But to conservatives, this question should also become a national quest, for although Barack certainly has no love lost with his old state's opposition party, Obama is a shrewd enough politician to know that if he hopes to have his trillion dollar stimulus package taken seriously in January, he cannot fight a proposition that would cost mere millions if there is national opposition to an appointment because of the, shall we say, unique situation. Then, we must use the momentum of this victory to start grooming a candidate who can take down Obama in 2012, for surely if Barack reigned supreme for eight years, it may be too late for these United States to remain "under God." Not only must it be a leader as articulate as Barack, but a person of integrity, someone who can be truthful without a teleprompter. Someone who can answer, without stumbling, simple questions like "Do you Smoke?" and "When does life begin?" Great post Thomas, I too am a Chicagoan, father a Notre Dame alum 1964, my year or birth, myself a UVA 87 product,I live in Mark Kirk's district in Buffalo Grove, and I too blog and am absolutely beside myself watching this country be fooled by Chicag-O-Bama, Hot Rod Blagoyevich and their Chicago Machine ilk. With all the warnings that many Chicagoans not on the O BAAHH ma sheeple filled bandwagon have been issuing, myself for 2 long years have still yet to chink the armor of the ObaMorons as I call them in their adulation for this empty suited fearless leader of theirs. We do have a long road to hoe battling the MSM as they run interference for the One, and an uphill one at that, but hopefully the armor has been nicked enough by the Blago implosion that Rezco will open a few cans of worms for the feds to sniff around, and someone in ChicagObama's circle of trust decides they want to become a gazillionaire by writing the tell all book of Obama's inside secrets if indeed there is such a person. However, sadly it seems Obama has cleverly used just enough of the right people for just enough time to gain the maximum benefits without one single person owning him, as amazing a feat that would have been to pull off, he may have just done exactly that. This scandal will likely tell the story as to whether or not he's penetrable or indeed teflon and here for the duration, a whatever come what may and let the chips fall where they may situation unfortunately for conservative AMerica. In the meantime God help us all, keep up the fine work and hopefully Notre Dame has a better year in 2009 than this one just past. Merry Christmas and Happy New Year to you and yours. P.S. Have you seen Michael Voris' (ND '83) RealCatholicTV? Clinton also entered the office of President under a cloud of corruption. After the investigation 14 went to prison including a sitting governor. Obama too will walk away unscathed thanks to the MSM.